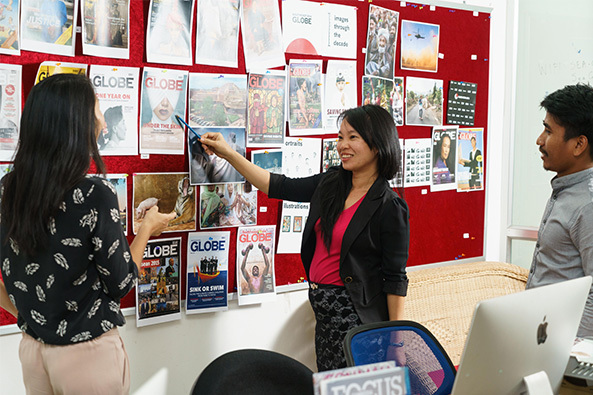 With an insider view of the region’s burgeoning media industry, Globe Media Asia is perfectly situated to bring your brand to the right audience. Partner with us via our print magazines, websites, social media, apps or events and connect with a prime readership from Southeast Asia’s key markets! Our international business team speaks your language – get in touch and explore the many opportunities to promote your business, brand and services in Southeast Asia or in Cambodia – our home market. Helping you to connect with a prime English readership in a fascinating region of growth, our team provides tailor-made advertorial and sponsored content that reflects your vision. We are experts in creating engaging content tailored to your brand’s audiences. Contact us now!